On now until September 23, $6.7 Million Guaranteed. The Borgata Poker Open is now running, with $6.7 million in combined guarantees up for grabs until September 23. For those of you who can’t make it to Atlantic City, all the final tables will be live streamed. Asher Conniff returned for Day 1C of the action as he hopes to make it through a field of thousands to the final table. And it looks like he isn’t doing too badly. 888 poker ambassador Jessica Dawley is also at the Borgata Poker Open and was drawn on the same table as Conniff. To win entry worth $3500 into the Televised WPT Borgata Poker Open Championship $3 Million Guaranteed event go here —its really simple, just fill in the form for a chance to win. During the WSOP, Remko caught up with Kara Scott to talk about her story in and out of the poker world. 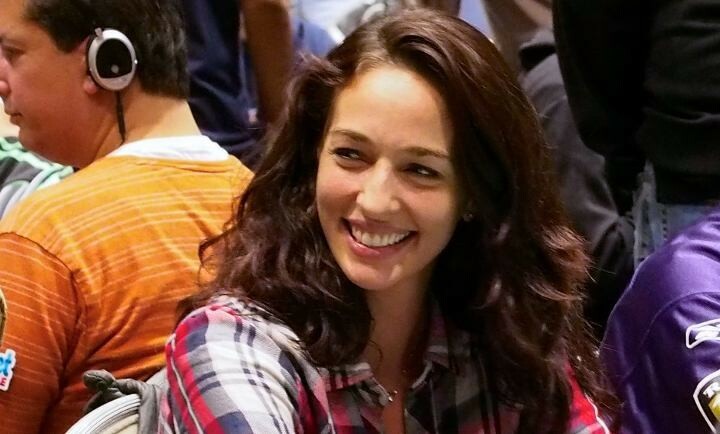 They touch on Scott, which she reveals is actually a stage name, growing up in rural Canada, adopting a fake British accent upon moving to the UK as a teacher, dealing with grief and how she got to where she is today in the poker industry. You can listen to the interview in it’s entirety below. But be sure to check out her Tweets below as she has some important words on the topic of dealing with tough times and mental health. Clarifying her stance on throwing herself into work whilst dealing with grief, Scott took to twitter. It all started on the 2+2 forum on Saturday when Doug Polk started to address comments on his dealings with fellow high stakes poker player Ben Tollerene and why there is beef between them following some comments Tollerene had made earlier in the day on a thread about Alex Dreyfus. From there Polk took to his YouTube channel to post a 32 minute video talking about how 2.5 years ago the guys struck a deal to coach each other: Polk to help Tollerene in NLH strategy and Tollerene to help Polk with PLO. But the relationship soon turned sour when Tollerene reneged on his side of the deal. “This is a video I have debated making for some time now, mainly because of how upsetting the event was for me” Polk has said on YouTube. For Tollerene’s side of the story and comments on on 2+2 you can read it all here. From there Joey Ingram issued a special report, taking a very GTO approach to the dispute. Ingram: “I hope someone doesn’t make a 32min video about things I said two years ago.” True that.